PUBG Mobile is one of the popular and addictive games in the Mobile segment. Thanks to its addictive gameplay, many users are hooked to the popular game. The company has also held tournaments, competitions for the users in the past. In the same lines, currently, PUBG Mobile Star Challenge Global Finals is ongoing at Dubai. 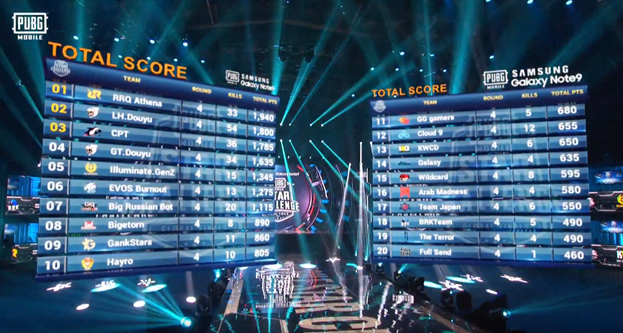 The PUBG MOBILE STAR CHALLENGE Global Finals 2018 (PMSC Global Finals 2018) tournaments hosted by Tencent Games and PUBG Corporation (PUBG Corp.) and sponsored by Samsung Galaxy Note9, announced today the exciting completion of day one of the three-day event and various player base milestones. 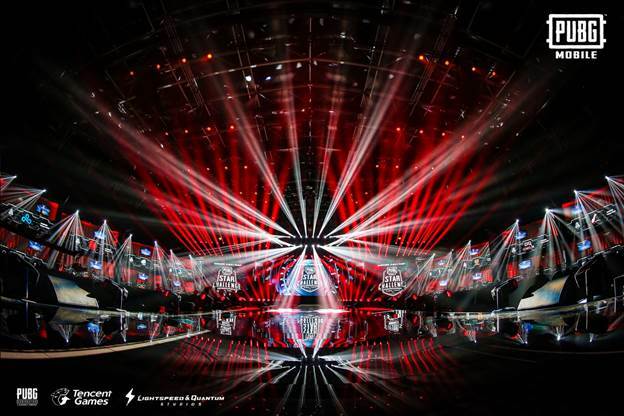 The PMSC Global Finals 2018 began on November 29 and continue through December 1 at the Festival Arena in central Dubai. 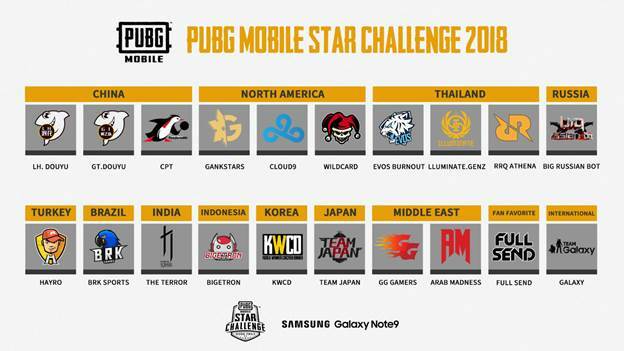 In the PUBG Mobile Star Challenge Global Finals, 2018, The Terrifying Nightmares (The Terror) are representing India at this global event. 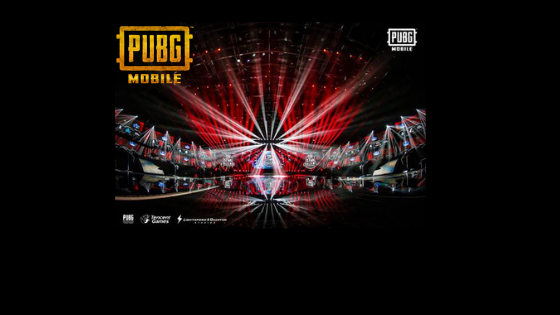 A squad of 4 friends- Sakriya Puri, Anand Puri, Mehul Dey and Amit Sharma who won the PUBG MOBILE Campus Championship held in India will battle against global giants. In Day 1 match, RRQ Athena from Indonesia won chicken dinner and got 33 kills, which is the top ranking so far. PUBG MOBILE has enjoyed unprecedented success since its launch; It reached more than 100 million registered users in just four months, excluding China. In the spring of 2018, it reached the top of the gaming charts in 105 countries and regions within only a week. And today, PUBG MOBILE claimed to exceed 30 million daily active users and 200 million downloads in 8 months. According to App Annie, PUBG MOBILE has the second highest monthly active user count among all mobile games in Q3 2018 (excluding China).